Death is SUCH a knee slapper! 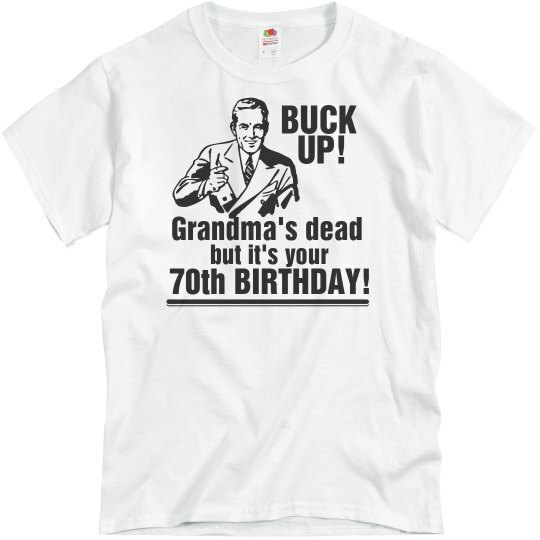 Custom Text: Grandma's dead | but it's your | 70th BIRTHDAY! | BUCK | UP!